It's the most wonderful time of the year for college basketball fans and gamblers all around the world. That's right, it's March Madness season! The festivities are officially underway, as the 68 teams were revealed for the NCAA Tournament on ​Selection Sunday, and now brackets are being filled out ad nauseam by average joes and hoops experts. Scary enough for fans of those teams, but imagine...the Tar Heels WINNING?! ​​Talk about a star-studded matchup. 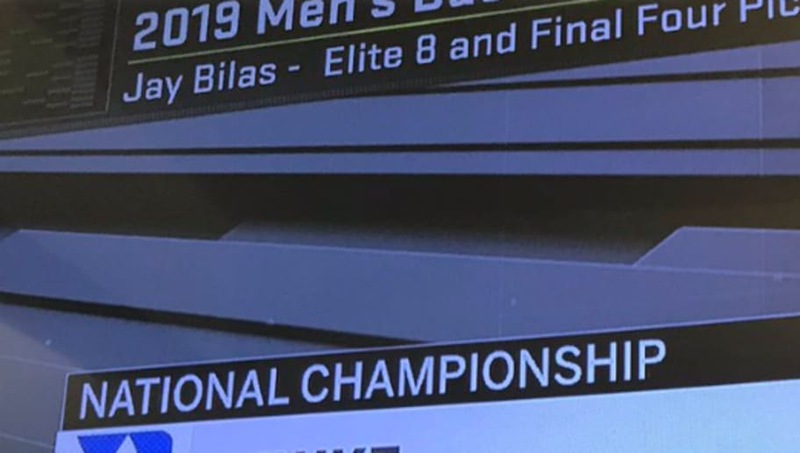 Bilas is shocking everyone by picking North Carolina over his own alma mater in Duke, a team that still seems borderline unstoppable with Zion Williamson involved in the proceedings. Safe to say, the Duke Alumni Association will be pretty peeved with Bilas over his predicted winner. Duke and UNC just competed against each other in the ACC semifinals, with the Blue Devils edging out the Tar Heels 74-73. The difference maker turned out to be Zion Williamson, who fully competed against UNC for the first time this season (thanks to the exploding Nike incident). While this is a terrifying thought, Duke vs. UNC will be a favorite National Championship matchup on thousands of brackets this year. Fans will all be winners if the Blue Devils and Tar Heels duke it out one last time, for the grandest prize in college hoops. But Carolina and Duke fans might pass out prior to the opening tip, though. There's a reason the schedule-makers make absolutely certain this can never happen before the finals.